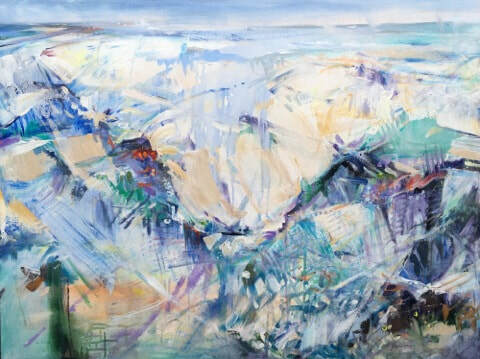 "My art is both a contemplative and expressive response to the natural settings I find myself in. By using colour and varied brushwork I grasp an essence of the place or moment, capturing what I sense is the “visual music” of the landscape or the feeling I experience from it. Each movement of the brush becomes a colourful note or chord which plays out the scene. 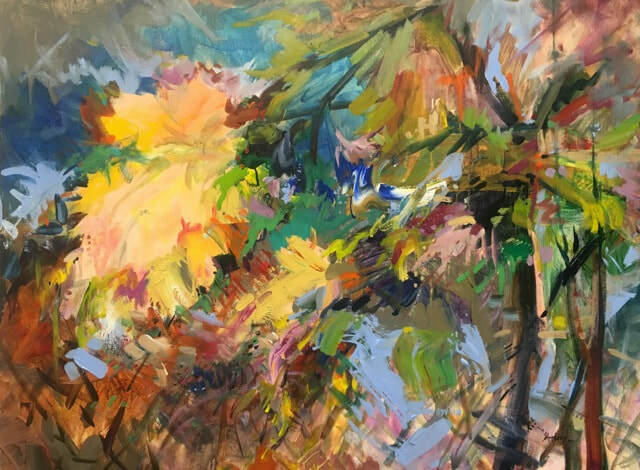 Even in abstracted interpretations, the landscape enlightens and challenges me to find new ways to observe and treasure it." 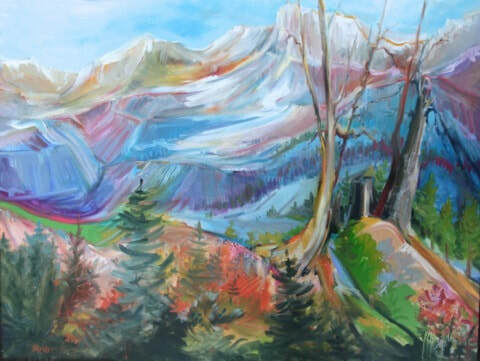 Jane Appleby is a prolific and intuitive artist who paints with the vigor of her love of life, inspired by the Canadian Landscape. She often paints outdoors in the tradition of the Canadian Group of Seven as well as producing large abstracts inspired by these excursions. 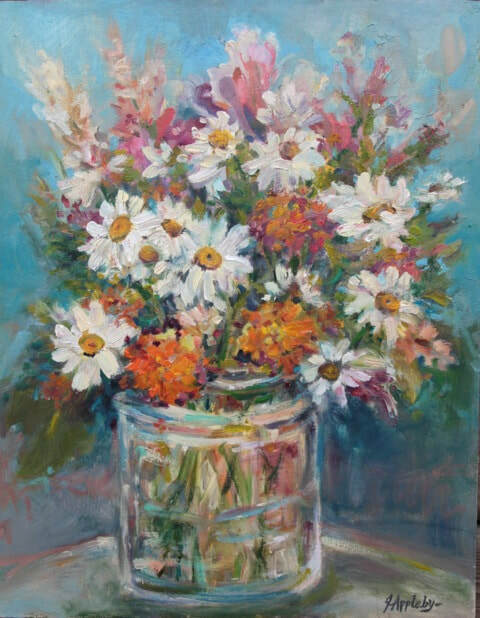 She has been mentored by many artists including the late Robert Genn who coined her a “full member of the 37 Club – fast and purposeful painting in 37 minutes and 37 strokes”. She now teaches this method and offers videos of her process on YouTube: Jane_Appleby_Art. 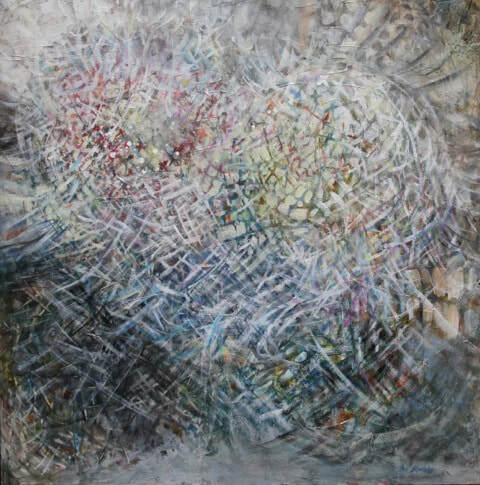 The works of Van Gogh, Mondrian, Kandinsky and Rothko have been influential to Jane, as well as those of Canadian Painters: Emily Carr, BC Binning, Jack Shadbolt and Gordon Smith. She recalls being especially moved by seeing the original works of these artists in museums. 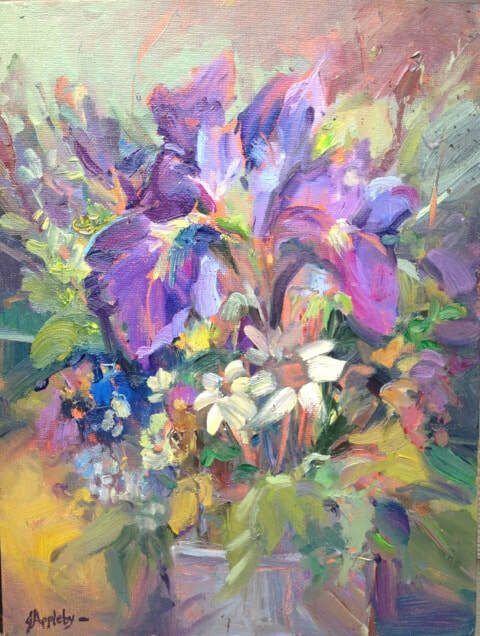 Jane’s favourite mediums are acrylic and oil although she is proficient in watercolours and mixed media. She is initially self taught and has furthered her studies at the Federation of Canadian Artists and Emily Carr University where she received a fine art diploma. 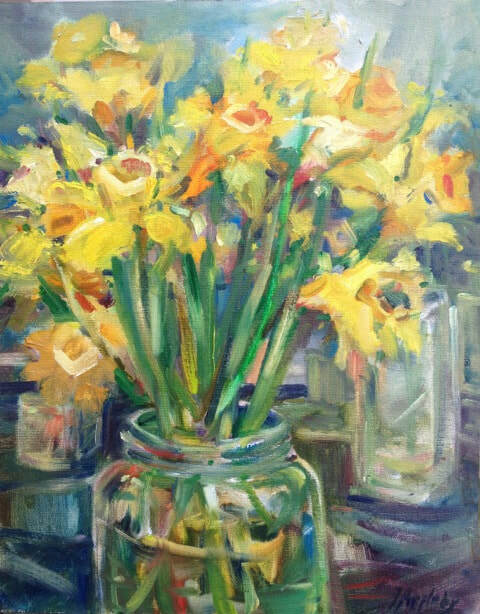 Jane was born in the Czech Republic and immigrated to Vancouver in 1969 with her parents and brother, Frank Pochyly, who also paints. She currently lives in Burnaby with her husband, some of their young adult children (five in total), a dog and two cats. 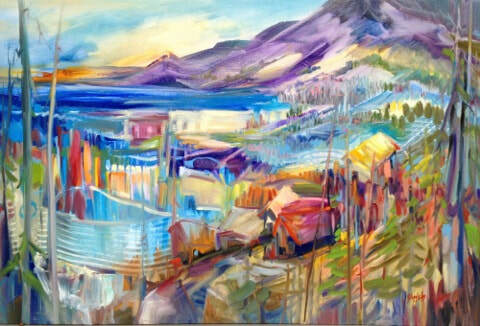 She also frequents Galiano Island, a favourite painting destination. Jane enjoys quality time with nature especially in the mountains and on forest hikes, sea-kayaking, and downhill skiing. Jane is an active member of the Federation of Canadian Artists and has written several articles for the Art Venues Magazine for the FCA. She serves on the Gallery Committee at Port Moody Arts Centre and instructs workshops at Coquitlam’s Place Des Arts. She also teaches watercolours for the Cunard Cruise Line and an after school children’s art program for the Burnaby School Board. Her artwork has contributed to many fundraising events including L’Arche Greater Vancouver, St. Michael’s, Big Brothers and Empty Bowls in Burnaby. She is willing to do commissions. 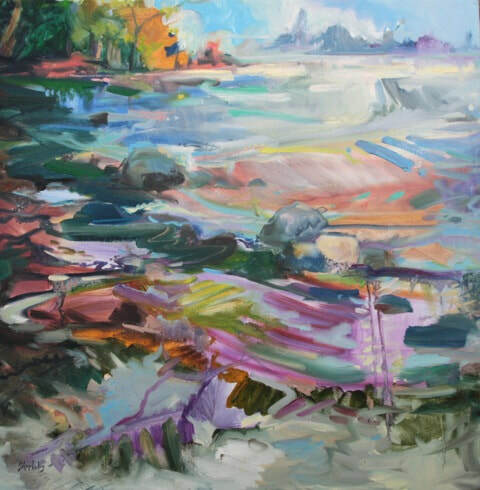 Jane’s current focus is creating an emotional response to the landscape using expressive brushwork and colour transitions.